JPIC stands for Justice, Peace and the Integrity of Creation. A very fancy name for a very fun, interesting module. 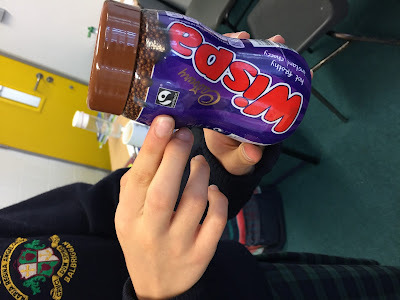 Some of the many interesting things we learn about is Fairtrade and the work they do to improve the working conditions and increase the wages of farmers in the developing world. To celebrate the work they do we decided to hold a Fairtrade tea morning. 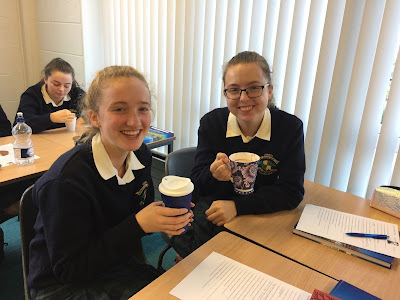 Everyone in the class brought in their favourite mugs and an assortment of Fairtrade goodies. 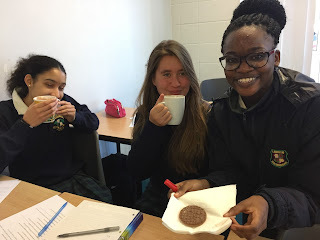 We had tea, hot chocolate, biscuits and we watched a documentary about climate change, all in the JPIC fashion. It was a great morning and we learned so much about Fairtrade and gained such a profound appreciation for the work they do.